Learn ways in which women made incredible contributions to the war effort during World War II, including the American Red Cross Clubmobile program. During World War II, American women took on many new roles, both in the military and as civilians. 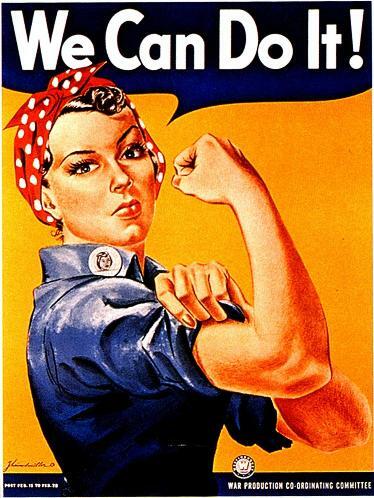 Beyond Rosie the Riveter and the Atomic Girls, women made incredible contributions to the war effort. One of the civilian avenues was through the American Red Cross Clubmobile program, which was essentially a mobile club, featuring doughnuts, coffee, and good old American girl-next-door friendliness, all served up at the front lines wherever the troops were to be found. Barb Warner Deane will be here to talk about the Clubmobile program and all the ways in which American women helped win the war! Registration Required. Registration required for EACH person attending. Kids under the age of 10 are not permitted in adult programs.